Ratan Tata is an Indian investor, industrialist, and philanthropist. He is best known as the former chairman of Tata Sons and Tata Group, an international business conglomerate. With a deeply rooted commitment to philanthropy, Tata has donated over 60% of his cumulated wealth to charitable causes in medicine, rural development and education. Tata received two of the most highly acclaimed civilian awards in India, the Padma Bhushan in 2000, and the Padma Vibhushan in 2008. 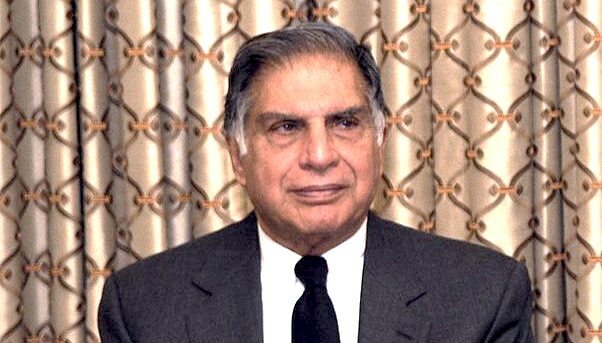 Ratan Tata is an Indian investor, industrialist, and philanthropist. He is best known as the former chairman of Tata Sons and Tata Group, an international business conglomerate. With a deeply rooted commitment to philanthropy, Tata has donated over 60% of his cumulated wealth to charitable causes in medicine, rural development and education. Tata received two of the most highly acclaimed civilian awards in India, the Padma Bhushan in 2000, and the Padma Vibhushan in 2008. Born in Bombay in December 1937, Ratan Tata started his schooling in Mumbai at the Cathedral and John Connon School. He was then moved to the Bishop Cotton School in Shimla before leaving India to be further schooled at Riverdale Country School in New York, United States. Tata graduated in 1955 and then enrolled at Cornell University (also in the United States) where he achieved a B. Arch. Degree in architecture with structural engineering in 1962. Following this achievement, Tata furthered his education in Boston, United States at Harvard Business School where he studied the Advanced Management Program. Back in India, he started his career with the Tata group at the bottom – on the shop floor of Tata Steel where he was responsible for the blast furnace and for shoveling limestone. After 30 years of working for the company, Tata took over chairmanship when JRD Tata stepped down. During the 21 years of leading Tata Group, the company achieved more than 50 times its profit and over 40 times its revenue. This was attained through several bold investments. After the FCA chief Sergio Marchionne’s sudden death in July 2018, many auto industry veterans were shocked. According to the India Economic Times, Ratan Tata and auto veteran Sergio Marchionne were deeply connected. The Times of India reported in July 2018 that Ratan Tata believes that Tata Group could not have achieved US$100 billion without ethical management. This was in response to the group being accused of lapses in corporate governance and mismanagement by former chairman Cyrus Mistry. The Business Standard reported that Ratan Tata expressed praise for the newly appointed chairman N Chandrasekaran.